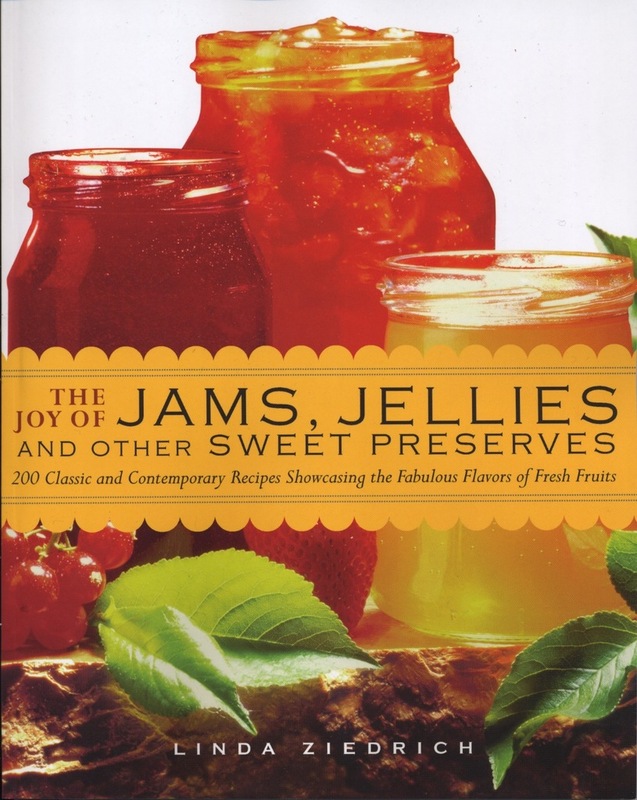 ﻿ “There is a saving streak of the primitive in all of us,” wrote Euell Gibbons, who introduced the art of foraging to the citified masses in the 1960s and 1970s. Hunting was as popular a sport then as now, but foraging was easier and cheaper and ought to be practiced more, Gibbons believed. You didn’t have to go to the mountains or virgin forest to gather wild foods; you could just walk out your door and take a walk. Fence rows, stream sides, and even vacant lots could provide the raw material for tasty, nutritious, and unusual table fare. In books and magazine articles, Gibbons told how to identify and harvest dozens, perhaps hundreds, of wild species, and how best to cook them up. 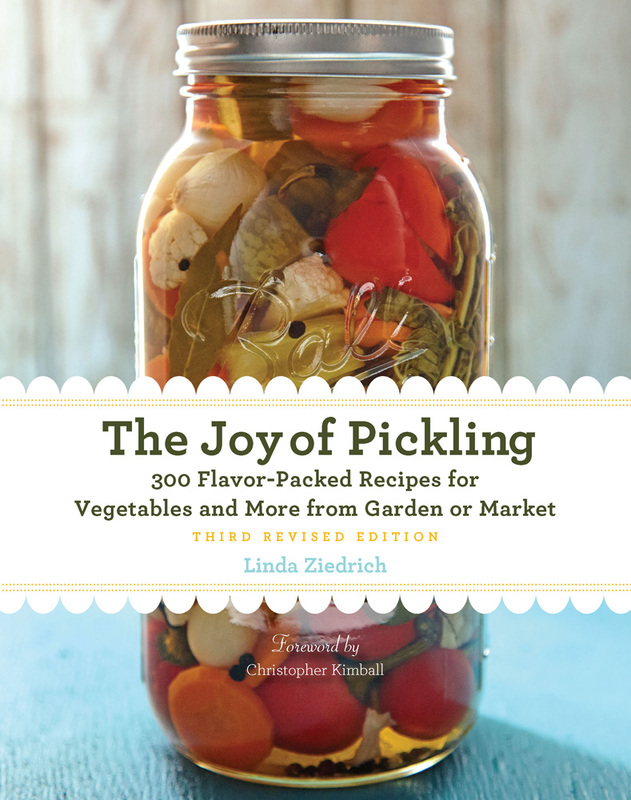 The Pacific Northwest now has its own modern Euell Gibbons in Langdon Cook, author of Fat of the Land: Adventures of a 21st Century Forager (Skipstone, $26.95). Although Cook grew up on factory food in suburban Connecticut, he certainly has a streak of the primitive. Cook first came to the Northwest to sailboard on the Columbia River. He returned a few years later to study creative writing and then took an editorial job with Amazon, but he couldn’t stay tethered to a desk for long. Cook likes to write, and he writes well, but he most likes outdoor adventure. In and near Seattle, where he lives, Cook gathers weeds that Gibbons also loved–watercress, fiddleheads, stinging nettle, and dandelions. He “jigs” for squid off a Seattle pier, along with Nicaraguans, Cambodians, and Ukrainians (a jig is “like a miniature cigar” with a circle of hooks at the end, meant to entangle rather than impale a squid). He casts for silver salmon from a Seattle beach, day after day until he lands one. Cook forages farther afield, too: He drives hundreds of miles to a fire-blackened forest to gather morels, avoiding crowds of recreational mushroom hunters and dodging potentially dangerous pros. He camps on the Washington coast in winter and wanders the beach at night with hundreds of strangers, all hoping to nab a few precious razor clams with their PVC suction guns. He keeps an eye out for bears while picking huckleberries in the Blue Mountains and eastern Cascades. He catches steelhead trout on the Rogue River (mostly hatchery grown, but wild enough after months or years in the Pacific), and, early on a June morning, he gets in line at Bonneville Dam to await the starting gun for shad season. In his pensive moments Cook writes lovely prose about nature. You can learn a lot from him about where to find and how to harvest fifteen or so edible wild species–and how to prepare them for supper, too. Having worked to live up to his name, Cook closes each chapter with a good basic recipe. But Fat of the Land is more memoir than nature guide or cookbook (because the publisher perceived the book this way, apparently, the book lacks an index). 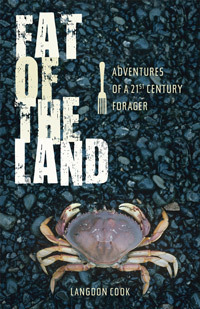 Above all, Fat of the Land is a collection of stories of Cook’s adventures in the wild with beer-drinking buddies who bear names like Trouthole and Warpo. Foraging, to Cook, is a manly sport. Foraging Langdon Cook–style is a sport that gets ever more difficult and expensive as our swelling human population and our pollutants limit safety, seasons, and harvest allowances. Cook doesn’t gloss over the ecological questions; he is conservation-minded. But he clearly enjoys the challenge of getting his tastes of the dwindling fat of our land. Less intrepid readers, like me, may turn from Cook back to Euell Gibbons, who caught fish and hunted game but mostly gathered weeds—weeds like mustard and winter cress and chicory, wild cherries and elderberries and crabapples. These neglected plants still line our roadsides and decorate our vacant lots. We can pick their foliage and fruits and enjoy them, thank goodness, without fearing that we may never taste such things again. This entry was posted in Books and blogs, Wild foods and tagged foraging; Langdon Cook; wild foods; food. Bookmark the permalink. Thanks for this review – sounds like a must-read.